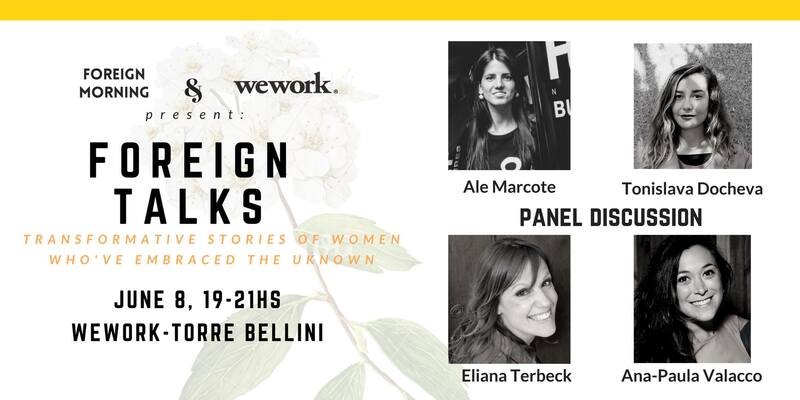 El 8 de Junio estaré integrando el panel sobre “Abrazar la Incertidumbre / Embrace the Unknown”, organizado por Foreign Morning en WeWork Torre Bellini . Dicho panel estará integrado también por Eliana Terbeck y Ana Paula Valacco, y moderado por Tonislava Docheva. Ale has inspired me with her true entrepreneurial spirit and unstoppable nature with all of the work and projects she undertakes. Amongst many things she is the co-organizer of FuckUp Nights BA, Coach and organizational consultant specializing in learning from mistakes and failures, as well as a Trainer, Facilitator, and Mentor of entrepreneurs. She is the founder of Ale Marcote Innovación y Coaching oriented to the development of the entrepreneurial spirit and the incorporation of tools to undertake within the organizations. Her passion and dedication to what she loves has inspired me and I know it will do the same for you. Come hear her story next Thursday!